Mount Lemmon, part of the Santa Catalina Mountains, is located north of Tucson. It’s about a 16 mile ride from downtown to the base of the climb. 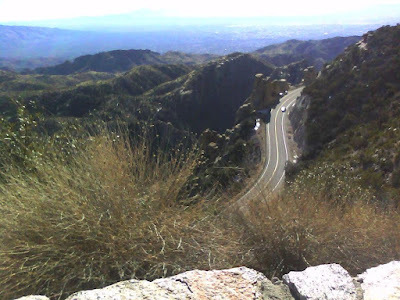 The Catalina Highway, the road that leads up the mountain to Mount Lemmon is a 26 mile steady climb, 5-6% grade and 5200 feet of elevation gain. 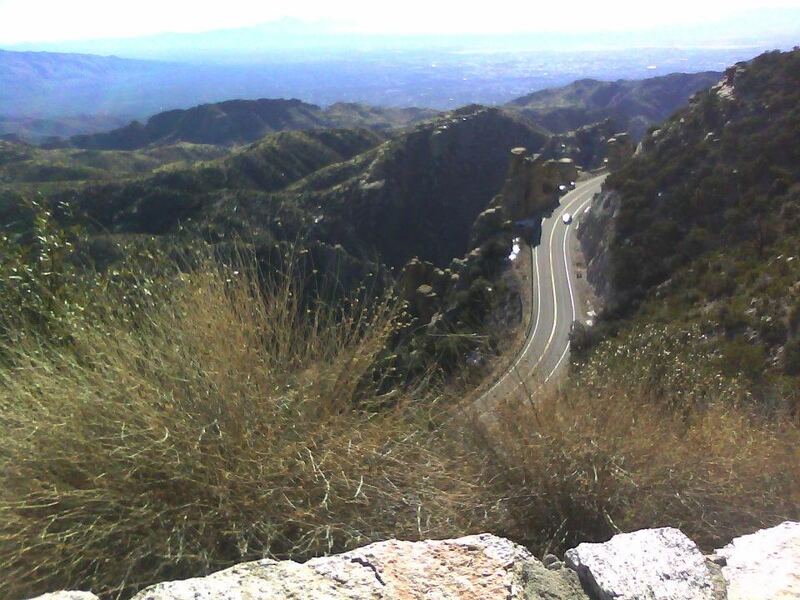 The winding road that takes one up the mountain provides spectacular views towards Tucson and beyond. I especially recommend the view of mile 15, shortly after Windy Point. Once you arrive at mile 26, you have the option to either go for another 2 mi to the ski resort or head to the ski town Summerhaven. The way up to the ski resort is much steeper, but it is well worth the trip. 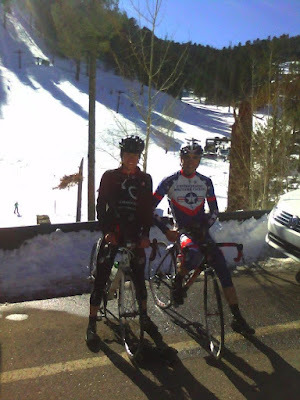 It's pretty cool to see people skiing and snowboarding on a bike ride. Although it was great to watch people skiing, the cookie cabin is what gets cyclists up the mountain. 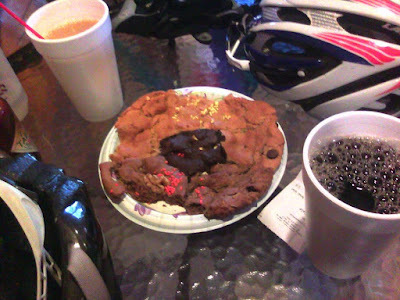 We rode down to Summerhaven and went into the cookie cabin, a ski cabin with all kind of good food. We ordered a sampler cookie which was as big as the plate itself. Also, it's a good place to refill water bottles as they are no refill opportunities up the climb. After an extended break warming up in the cabin, we had to face the 26 mile descent. Initially, we thought it would be really cold but the sun was warm enough that we actually had to take layers off. I absolutely loved the descent. I was out of gears unfortunately, but we still were faster than the cars. This ride needs to be repeated very soon! Nice. Great pics and well written. Good for ones imagination.